A strong start from these Spanish miscreants! 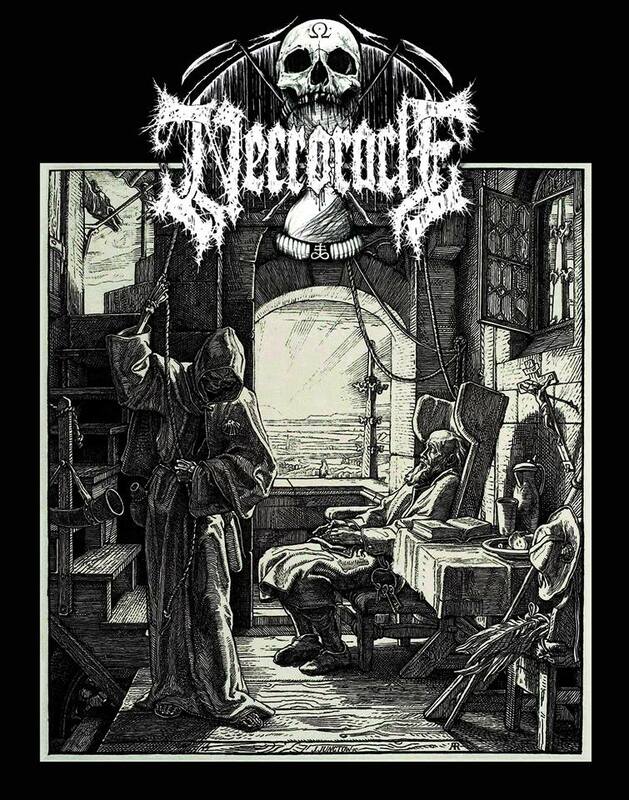 Featuring four songs of pure death riff worship and demonic howling, Necroracle‘s MMXVII is a blackened opera of hellish sounds, clanking chains, anguished groans and no end of evil intent! While opener “Through The Eyes Of Death” takes 2 minutes to reach its ‘song’ proper, the ambient sounds of hell which precede it are a fitting introduction to the semi-progressive, mid-tempo barrage of infernal noise which erupts from the minds of these tortured souls. “Revelations” then picks up the pace as blast-beats batter you senseless but Necroracle always look to return to a highly atmospheric sense of structure; channeling speed and precision – via a knack for fiendish harmonic structures – in order to add convincing layers to their spidery-sounds. In particular, “Shrines From Beyond” showcases the broad palette at Necroacle’s disposal, with the band convincingly channelling the likes of Sacramentum as they capably conjure an aura of considerable unease. Necroracle’s MMXVIII will be released on CD and cassette by Caligari Records on 28th April, 2018.